The annual Mercedes Marathon will take place on Sunday, February 9, 2020 The race route spans most of Downtown and Southside Birmingham, running through Five Points South on 11th Avenue and winding around Highland Avenue. Roads will be blocked, so you may wish to find an alternative route to church this week. Highlands will provide dashboard signs to help law enforcement officers direct you through to the church. Highlands will not have an 8:30 a.m. worship service this week. For more information on the Mercedes Marathon, visit www.mercedesmarathon.com. Our Palm Sunday celebration of Jesus' triumphal entry into Jerusalem begins as our congregation is led from Brother Bryan Park to the front lawn of Highlands waving palm branches. The annual Mercedes Marathon will take place on Sunday, February 10, 2019. The race route spans most of Downtown and Southside Birmingham, running through Five Points South on 11th Avenue and winding around Highland Avenue. Roads will be blocked, so you may wish to find an alternative route to church this week. Highlands will provide dashboard signs to help law enforcement officers direct you through to the church. Join us on January 5, 2018 from 3:00 – 5:00 p.m. as we transition from Christmastide to Epiphany in a time of silent contemplation in our sanctuary. You may come and go as you please during these hours. There will be no spoken content or music just beautiful, sacred space for your prayer, meditation and contemplation. Please use the Arrington Blvd. parking lot entrance. Today we celebrate Christ the King Sunday, which is also the last Sunday of the Christian year. The focus in worship is a celebration of the coming reign of Jesus Christ and the completion of creation. All are invited to participate in Holy Communion, which connects us to God’s heavenly banquet table where the grace and love of Christ are served in abundance. A service of of worship for All Saint's Sunday featuring the Fauré Requiem. Join us for worship in the Sanctuary each Sunday at 10:30 a.m.
Intimate service of word and table in the Chapel each Sunday at 8:30 a.m. Holy Communion is celebrated every week. Third Grade Bible Presentation during worship. Laity Sunday at Highlands United Methodist Church celebrates our lay (non-clergy) leadership. Our church lay leader, Steve Alexander, will be delivering the sermon and our church council chairperson, Romona Shannon, will give the Children's Moment. All are welcome! Drawing from the tradition of Compline - the service of evening prayers - our contemplative worship incorporates both ancient and emerging spiritual traditions, using a diversity of resources from Christian communities across the globe. 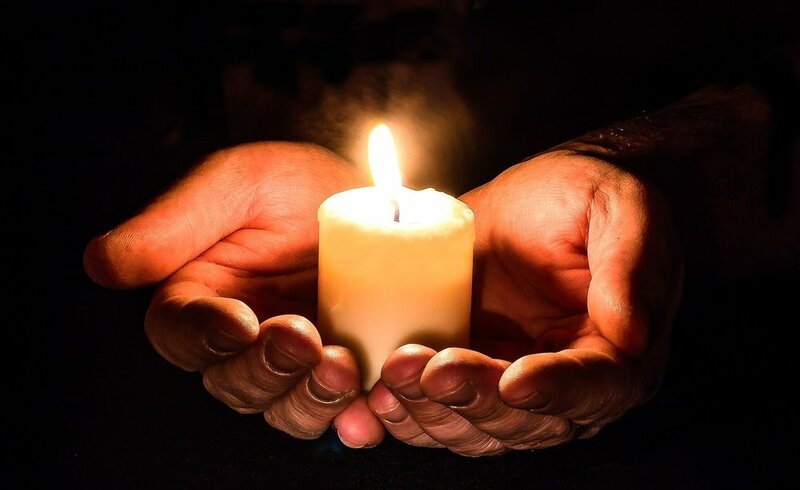 Worshipers can expect a warm, welcoming, sacred space lit by candlelight, prayer, silence, and simple, distinctive music that calls us to a richer communion with God and our neighbor. Although there may be short readings, there will be no sermons or homilies, leaving room for your own prayerful ponderings. Highlands United Methodist Church offers contemplative worship on the second Sunday of each month at 8 p.m. in the sanctuary. All Are Welcome. Youth Sunday during 10:30 a.m. worship at Highlands. The word "maundy" comes from the Latin mandatum, meaning commandment. On Maundy Thursday, we celebrate Holy Communion in remembrance of Jesus' Last Supper with his disciples, and of his new commandment to love one another. Worship services at 8:30 and 10:30 a.m. Sunday school at 9:30 a.m.